This course will provide strategies and tips on ways for teachers to increase motivation and learning for students in the classroom. They will examine brain-based learning and multiple intelligences to help teachers design instructional units. Hundreds of teaching tips and student activities are presented for teacher implementation. Teachers will view DVDs about consciousness, quantum physics and the Law of Attraction. Educators will also learn about developing instructionally supportive activities and strategies to improve motivational and instructional impact in classrooms. Teachers will review student relationships and how to make learning easier without lowering standards. They will learn how to use various teaching tips and strategies. 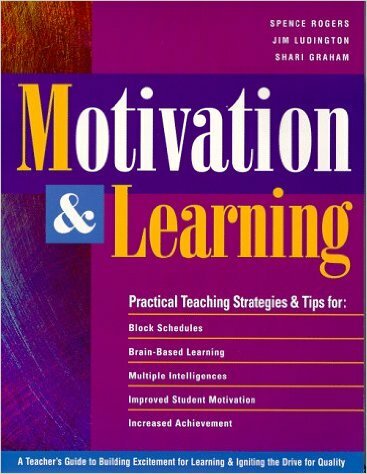 Students will read about various quick-tips for increasing motivation and learning. They will examine and apply the various ideas for possible applications into their teaching environment. Educators will examine how motivation works in human behavior and how to get students to be intrinsically motivated. The video: The Law of Attraction and are also viewed to blend mental consciousness concepts into motivation applications. Educators will examine the motivation tips as they relate to instructional content and teaching for classroom implementation.